This is a sponsored conversation written by me on behalf of Babyville Boutique. All opinions expressed are my own. Are you the crafty type that loves to peruse craft stores? Have you ever tried your hand at making your own cloth diapers or accessories? If you answered “Yes!” to any of those, you have probably heard of Babyville Boutique. But just in case you haven’t, here’s a little background on the company! Babyville Boutique is about sewing and crafting for your family, friends and pets. Babyville was “born” when a new generation of parents embraced an emerging lifestyle trend of wanting healthier and environmental friendly products for their baby. As more families became conscience of this lifestyle choice, many creative moms began sewing cloth diapers for their babies and toddlers for both social and economic reasons. As a leader in the creative industry, we recognized the need to develop a product line that allowed these modern sewists to easily find and successfully use the products they needed. After cloth diapering for a couple of years AND finally teaching myself to sew a bit, I decided it was time to try to make my own cloth diapers and accessories. Unfortunately, I didn’t find the fabulous cloth diaper tutorials on Babyville Boutique until recently, so I never successfully made my own cloth diapers, but I did manage to create a fabulous project with Babyville Boutique PUL… DIY Waterproof Cloth Trainers! But don’t think that adorable printed and solid colors of PUL is all that Babyville Boutique has to offer the modern seamstress – oh no! Take a look at the wide variety of products that now, including: Snaps, Ribbon, Elastic, Patterns, and Instructional Booklets and much more! You can find Babyville Boutique products at your major craft retailers like Joann, Hancock Fabrics, and even on Amazon.com! Be sure to connect with Babyville Boutique through social media as well – you’ll stay in the know about new products, giveaways, projects and tutorials by following them on Facebook, Twitter, and Pinterest! I like the birds print! I really like the sassy dot print! I see so many cool Minnie Mouse options! I like the books! I think I’d be able to make a few diapers in no time with printed instructions! I also like that they sell almost everything you need to make a diaper (minus insert material from what I can tell)! 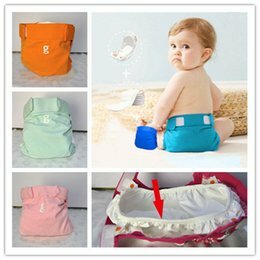 Wish list/Company product suggestion: I’d love to be able to buy a book on pockets or AIOs and inserts as well as the stay dry fabric, pul, some absorbent fabric for inserts(bamboo for example), elastics, snaps and snap tool or aplix and the appropriate thread enough to make 3 diapers all in one shot! Then I could easily get one for me and get a friend to get one to do simultaneously as a sewing project! Woot woot! I love that they have the patches for 1-12 month pictures… I may have to do that! I love the trainers pattern! I’ve never used these products before, but I’m super intrigued and would love to try. For starters, I like the Sassy Cheetah and Sassy Dots PUL fabric pack. So many interesting things. I would like to try the trainer pattern. I really like the diaper cake tutorial, and will be using it for an upcoming shower I will be attending! I like the zippered wet bag tutorial!! i love the Little Birds and Hearts Monthly Iron Ons! I love the Ultimate Pocket Diaper Pattern Booklet! I like the pirate collection. My favorite is the scrappy tutorial. I love all of the super cute patterns of PUL. There is a nice selection of gender neutral patterns and i like buying them in packages of 3 diaper cuts. I love the bolted PUL in the Little Pirates print and the Robots print. I like that I am able to get this here in my local JoAnns. I love that they have pet projects! I like the fun flower and diva appliques! I like the little pirates collection! I like the Dinos and Monsters Cloth Diapers. The Softie Easter Egg tutorial is cute! I could use a ton of those for games at school. I love the sassy collection.I didn’t even know there way a store like this. I love this store,great things and I will be ordering soon. I love the books, there are soooo many things you can make with Babyville products! I came for the diapers but I’m addicted to the whole lot!! Thank you Babyville and Im hope you’re around for a long, long time! I love the books, there are soooo many things you can make with Babyville products! I came for the diapers but I’m addicted to the whole lot!! Thank you Babyville and I hope you’re around for a long, long time! I like the Sassy Dot PUL Bolted Fabric , and the Little Pirates and Skulls printed PUL bolted fabric. I like the scrappy Spring diaper tutorial. I like the 51 PUL Projects book and all the ideas to make such fun crafts. I like the Little Birds and Chevron assorted PUL fabric pack. I love the Little Birds collection the patterns are so cute! We love BabyVille patterns! Especially, the diaper insert patterns. They are so easy! We have a few of the patterns and most of them are very easy to do. I’d love the snaps and snap press and the winged prefold tutorial! Love the variety of PUL offered! I love the Little Birds Reversible Apron tutorial! I’d love to attempt to make my own designer diapers… With my mom’s expert help of course. She’s helped me with other projects like tie-up high chairs. The majority of my daughter’s fluff stash are GiGi Couture diapers made by me using Babyville Supplies. I loved the little birdies raincoat so much I made one for my three year old granddaughter. I love the cheveron and little birds print pul, I love babyville products!!! I love the foe and the pul! Forgot to mention – I used the pirate PUL so it’s a pirate booty! Love Babyville products! Just made my first cloth diaper – adjustable, all-in-one for my friend who is expecting. The Babyville products are so easy to use. I love the babyville pul! It sews so easily and doesn’t stick to my machine. It’s such nice quality and I’ve never had a leak. Holds up well to washing repeatedly. Super cute prints too. I love the fold over elastic in such beautiful colors! I love the size tags! I may buy them for making clothing for my granddaughters! I love the playful friends owls pul! So cute. I like the “Little Birds printed PUL bolted fabric” and the “Girl Little Bird and Hearts Design Labels” to match. Day waterproof cloth trainer 🙂 i love this idea! I love the coordinating snaps with the imprints on them. So cute! I love the Spring scrappy tutorial! I love the kids poncho project. Something that will grow with them at least a little bit and very practical. I’d love to try to make my own inserts! I love the Babyville Little Birds and Chevron assorted PUL packaged fabric! And Little Pirate and Skulls assorted PUL packaged fabric. Love that they can be purchased locally, and it is all coordinating (PUL, snaps, emblems, ribbon, etc). I like the cute design snaps. I like the tutorial about making a adjustable sized snap cover. I like the little birds ribbon collection and the idea that you can design your own! I like the solids collection.